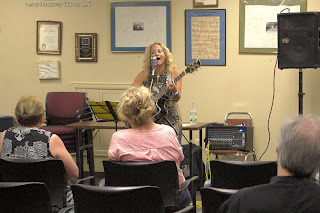 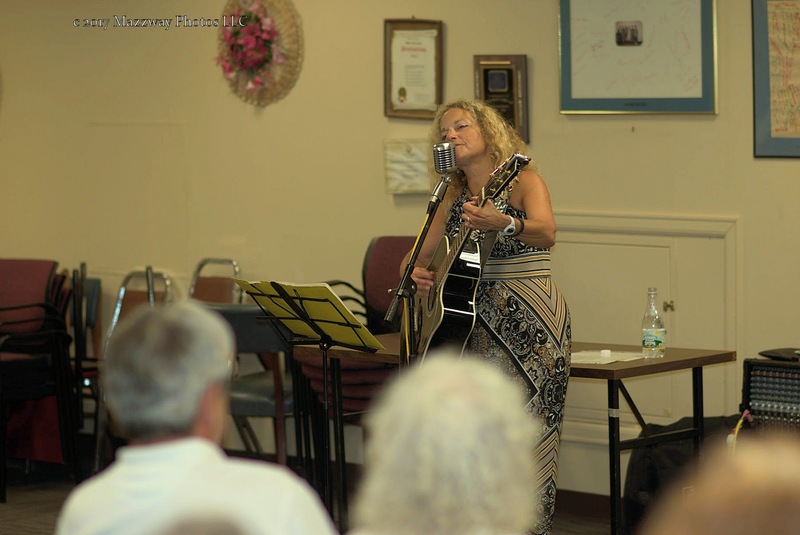 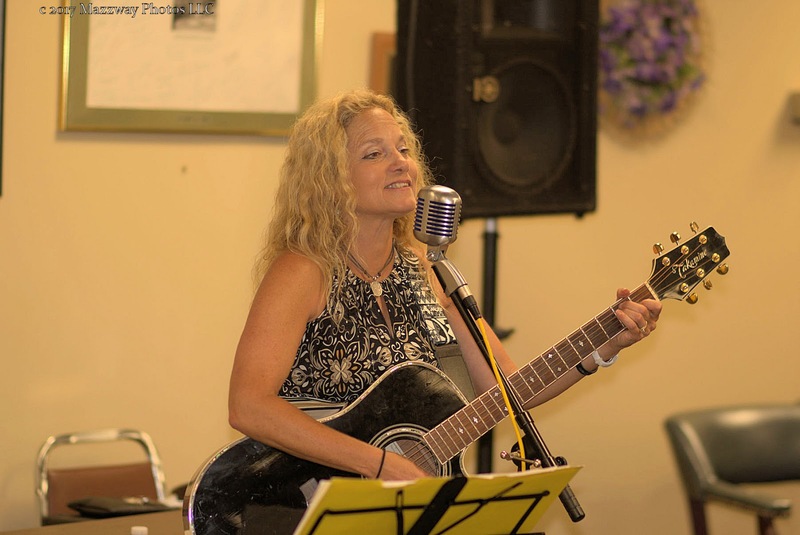 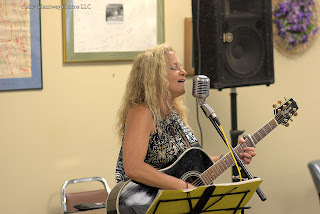 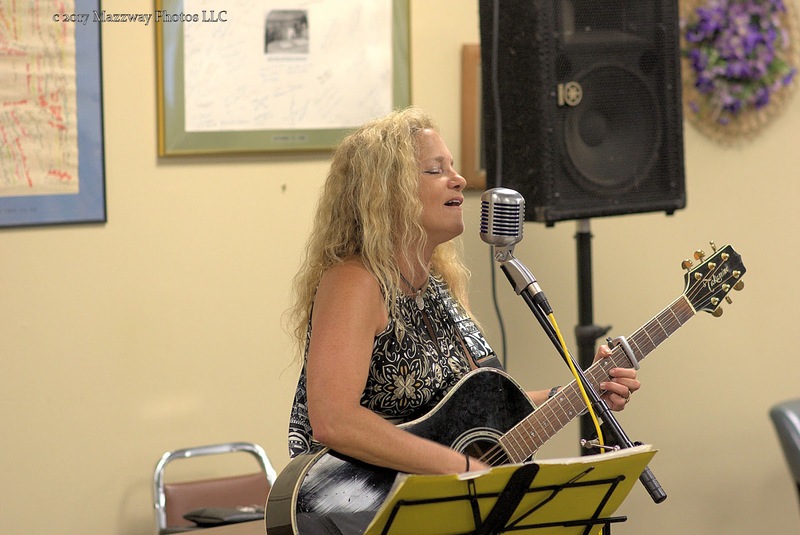 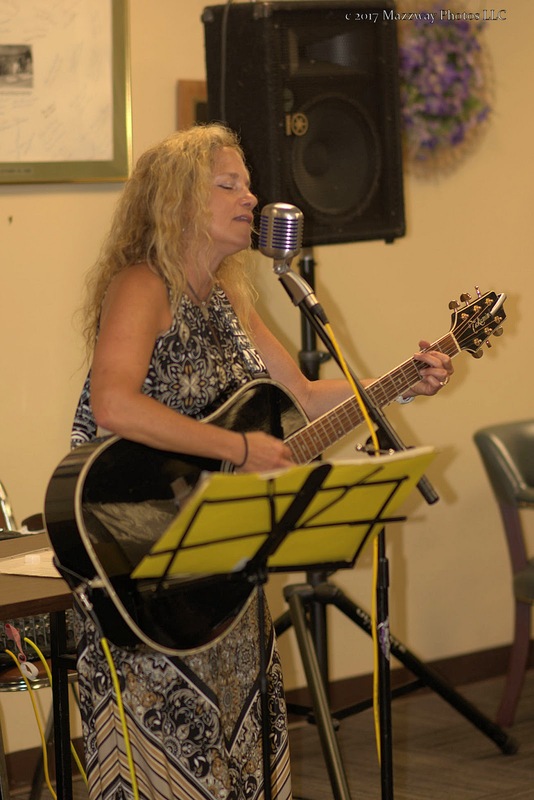 On Tuesday -11-July the Bogota Public Library hosted the next in their Concert series. 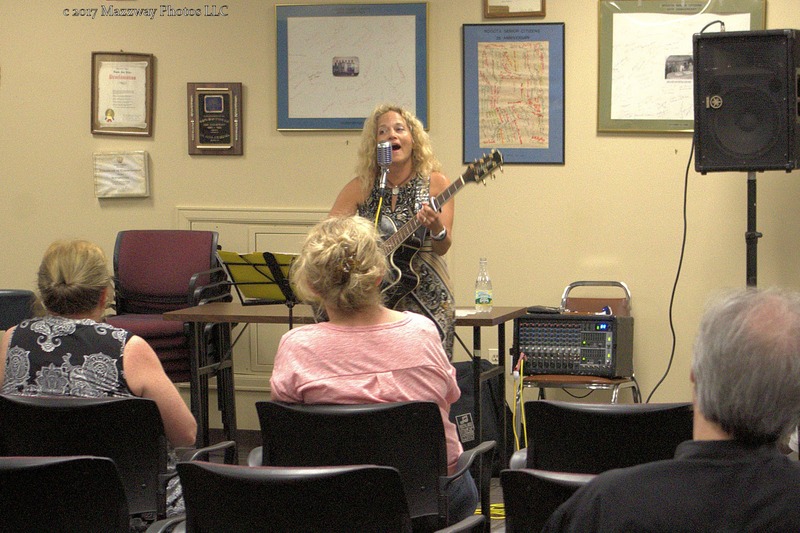 This evening performance was by Singer / Songwriter Alice Leon. 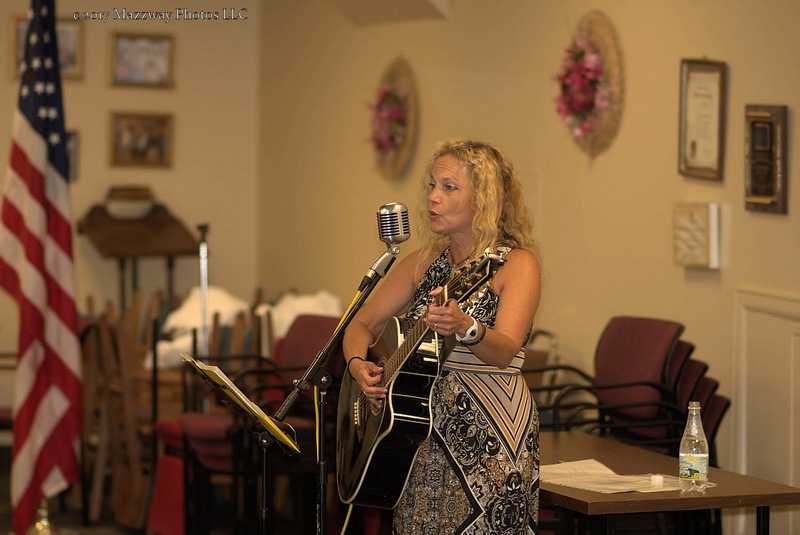 Ms. Leon played an acoustic set on guitar featuring a variety of musical styles. 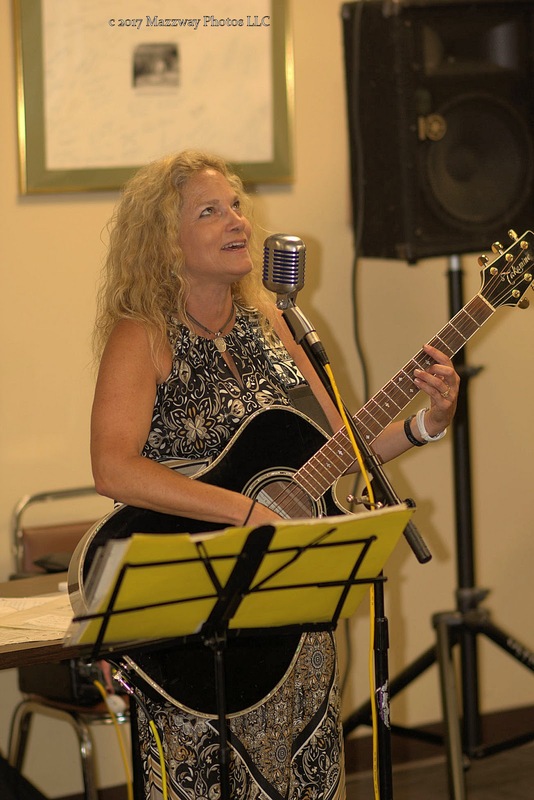 Her songs ranged from popular show and movie tunes to Motown and Bluegrass. 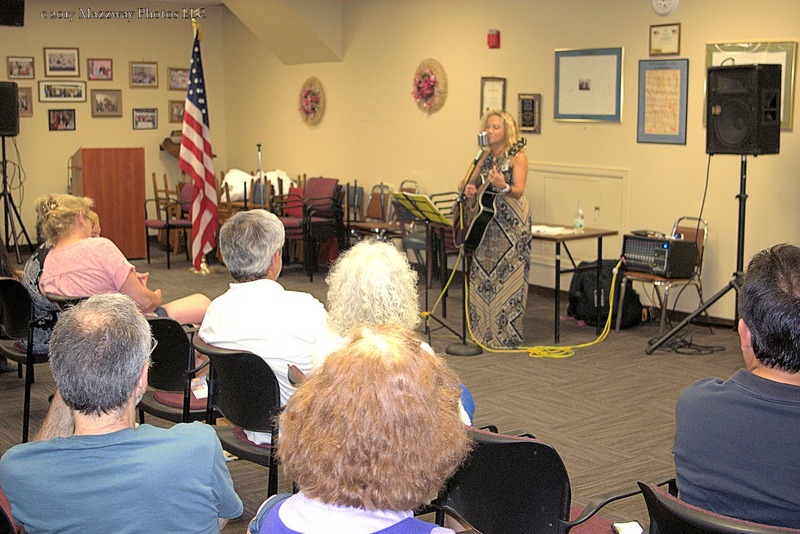 She engaged the audience by stating some song by playing just a few cords. 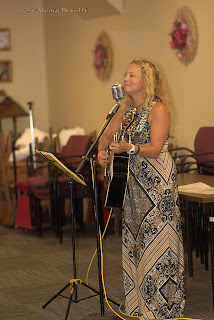 Then asked if they knew which song it was from. Ms. Leon was able to show how modern song have a lineage that could be traced back to early Broadway. This was able to help her teach those that while the basics of a song may be the same, the talent and art of writing music comes from how it can be used create new songs for each generations.